An eye-catching floor plan that’s perfectly finished inside and out, this Rawdon Hill residence will keep the family entertained for years to come. Without the stress of building, you and your family can move into this 18-month-old home and feel right at home with nothing to do. 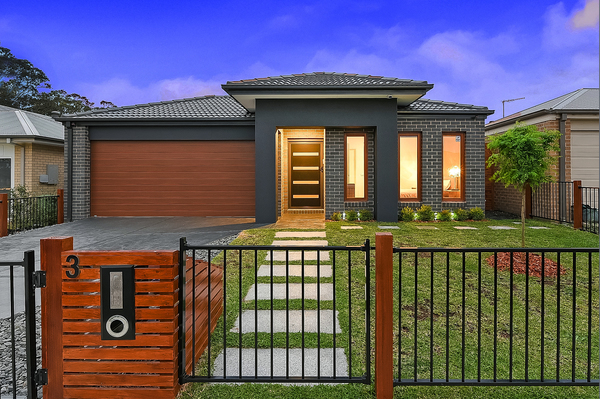 The modern facade and contemporary colours immediately grab your attention from the street and invite you inside this well presented home. An oversized master bedroom greets you at the front of the home complete with fitted walk-in robe and ensuite, feature high ceilings and bamboo flooring flow through to your own fully equipped home theatre room. The west wing of the floor plan is ideal for kids or teenagers, with three bedrooms in total, a central main bathroom that caters to all three rooms and a super cool kids or teenage retreat /rumpus area. 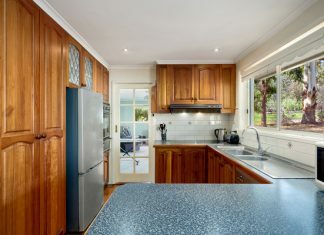 The Stone featured kitchen and cosy family room is where many a night will be shared with the romantic Coonara fire place, or in our summer months the doors will be wide open offering effortless indoor/outdoor living with direct access to solar heated swimming pool. 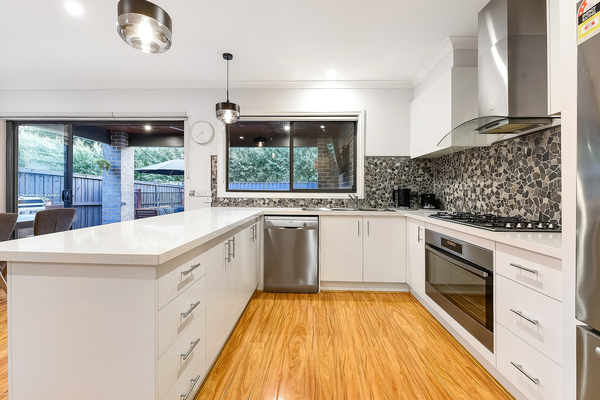 The kitchen is crisp white and surfaces covered in Caesar stone, offerings a 900mm stainless steel appliances, an abundance of storage and cupboard space and large fitted walk-in pantry. Expected extras in this ideal home include double remote access garage with internal access, ducted heating, evaporative cooling, split system, 6.5kw solar with 22 panels, security cameras, intercom and alarm system. 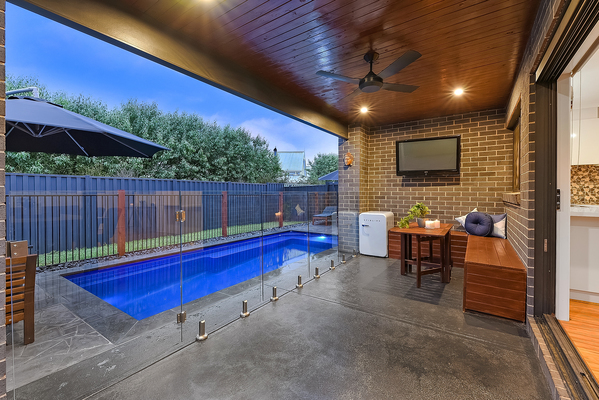 It is in close proximity to Beaconsfield and Officer local schools, shops, freeway access and public transport – all apart of living in the prestigious Beaconsfield postcode.